Follow our five part series for Baseball players written by Explosive Performance Director, Kevin Boyle. Baseball Season Is Finally Here! 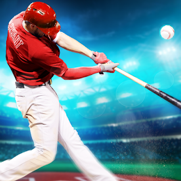 Fans And Aspiring Athletes Want To Know How MLB Players Prepare Themselves To Hit And Throw For Power, And How They Can Stay Healthy This Season. Baseball players will not be effective on the field if they sustain an injury. Players will become increasingly imbalanced as they go through a season that requires throwing and hitting only from one side. They get tighter in certain movements and we need to help them "hit the reset button" by providing targeted mobility training. To demonstrate this imbalance we will have athletes try to touch their fists together behind their back following the Shoulder Mobility FMS test. If one side is tighter the athlete will do soft tissue work (foam rolling, triggerpoint therapy, and self ART), and stretches until they correct the imbalance. Active recovery and targeted mobility training will help athletes perform pain free throughout their season, and to stay on the field all the way through until hopefully a World Series run. Healthy teams win championships.